All the news that’s fit to print. Oh, and daily deals. And continuing education courses… The Times, it is a-changin’. You may have heard something about the death of print. And The New York Times–the granddaddy of all dead-tree publications–is not exempt. Expenses are rising, Frank Rich is leaving, a paywall looms. Faced with the need to make more money, the the Times is venturing into what initially seems like un-Timesian territory: the Grey Lady is getting into the Groupon-like daily deals business, and has also been working with universities to promote New York Times online courses. Kristin Mason, a spokesperson for the Times, tells Fast Company that the deals offered by TimesLimited will be “more curated” than what’s available on Groupon, with an emphasis on exclusive offers rather than volume-based ones. TimesLimited is currently in the list-building phase, and will start offering deals this month. Mason says that while “we’re certainly trying to build the brand” at the Times, this isn’t a huge leap for the company–the daily deals business is a natural spin-off from its existing advertising business. 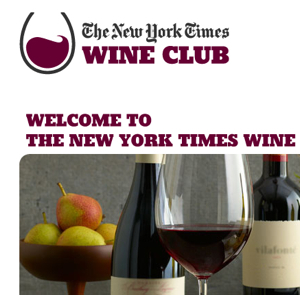 Plus, the Times has already tried similar, special-offer advertising programs, like Great Getaways and the NYT Wine Club. A full look at the range of offerings can be seen at the New York Times Store site. So while the Times might be expanding the brand with these new ventures, it’s not straying far from familiar territory. When I ask if the Grey Lady might be opening a themed, black-and-white restaurant in Times Square any time soon, Mason laughed and said no. Ultimately, college courses are a natural extension of the Times‘s information-peddling, and daily deals are a natural extension of its advertising. Despite the Groupon-style and e-learning ventures, the new Grey Lady still looks a good deal like the old.